VW says the Sol E20X's design was “inspired” by the group's Seat brand. Volkswagen Group has launched EV production at a new China plant with partner Jianghuai Automobile. JAC Volkswagen Automotive, an EV joint venture between the two automakers, began output of the Sol-badged E20X subcompact crossover, the first product at the plant in the east China city of Hefei. 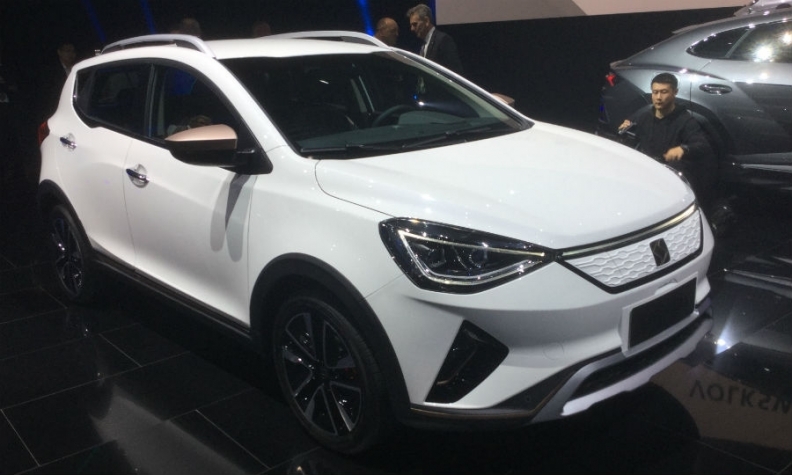 The Sol E20X’s design was “inspired” by the Volkswagen Group’s Seat brand while the technology was developed by JAC, VW said. The crossover is based on JAC's S7 model. It will go on sale in China in the second half of this year, VW said. The EV is 4,135 mm long, 1,750 mm wide and 1,560 mm tall, with a wheelbase of 2,490 mm. It can drive for more than 300 km (186 miles) on one charge. It features an artificial intelligence-driven speech dialogue system and intelligent mobility services for battery charging and parking. VW didn't release additional details about the EV. JAC VW was incorporated as a 50-50 partnership in Hefei in early 2017. It will only produce EVs with annual production capacity of 100,000. It is the third joint venture VW has established in China, following partnerships with China FAW Group and SAIC Motor. JAC VW will enable VW to comply with a Californian-style carbon trade program the Chinese government will enact in 2019 to push automakers to ramp up EV output.